Our vision for Americare Technical School is to promote nursing care excellence through a community of learning that focuses on society’s need for high-quality health care and educated professional nurses. Our mission at Americare Technical School is to promote a supportive environment that fosters the educational and developmental needs of the students, faculty, staff and our alumni. 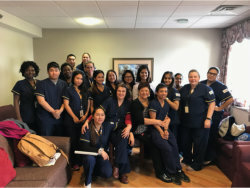 AMERICARE TECHNICAL SCHOOL is committed to advancing the science and practice of nursing through an excellent nursing education program that focuses on preparing graduates to provide high-quality nursing care to a diverse, multicultural society. Americare Technical School has been approved and recognized as a training facility by the Illinois Department of Public Health to conduct training in Basic Nursing Assistant. After completing the course requirements, the student is eligible to sit and take the Illinois Competency Evaluation Examination for Nurse Aides. Americare Technical School is approved by the Division of Private Business and Vocational School, Illinois Board of Higher Education to offer courses of instruction identified in the Course Offerings. Americare Technical School is approved by the Illinois Department of Financial and Professional Regulations: Illinois Board of Nursing to conduct training in Practical Nursing and prepare the students to take the NCLEX-PN licensing examination. 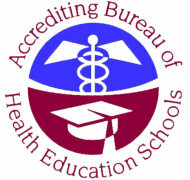 Americare Technical School Practical Nursing program is approved by the Illinois State Approving Agency for the enrollment of qualified veterans and/or other eligible persons to receive Montgomery GI Bill education benefits. It is the policy of the School to provide an equal education opportunity for all students, regardless of race, color, creed, disability, religion, gender, ancestry, national origin, social and economic background, marital status and sexual orientation.